Well, that was a surprising, but welcome scoreline! What with Saints seemingly completely loosing their way and coupled with their almost complete inability to actually score goals, it was no doubt with some trepidation that fans approached St. Mary’s on a cold, bright, late November, Sunday lunchtime. The mood wasn’t lightened by the missing midfield of Lemina and Romeu. The former turned out on the bench, but still not fit enough to start, the latter being suspended after the booking at Liverpool last week. So without any midfield, how on earth were the team supposed to score a goal? Forster in goal with a back four of Cédric, van Dijk, Hoedt and Bertrand. So far, so same. The midfield turned out to be Højbjerg, Davis and Ward-Prowse. At the front were Tadić, Austin and Boufal. It just seemed to me, that with the exception of Højbjerg, it was more of the same. Shows what I know. 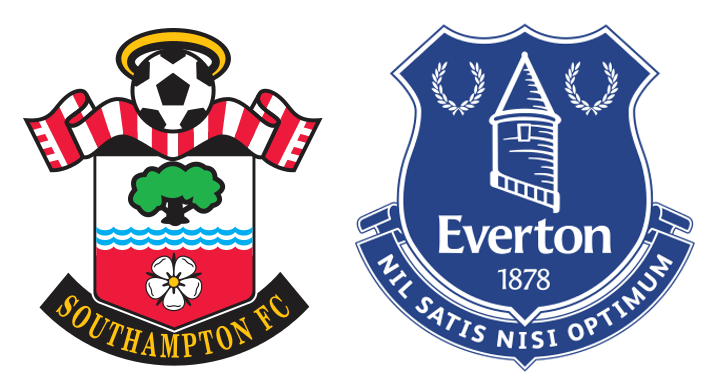 The really good thing from Saints point of view, was the simply appalling form of Everton, home and away. From the off there seemed to be a clear determination of the Cédric and Bertrand to link with Boufal and Tadić. This link play has not always been in evidence in the majority of matches this season, resulting in any forward movement breaking down. This new found clarity of thought also extended to Ward-Prowse, who provided Charlie Austin with a perfectly weighted free kick early on, for the big man to head and for Pickford to save from a deflection by one of his own defenders. Still, it did provide a statement of intent. Again, another chance fell to Austin, with a great corner from Ward-Prowse. Van Dijk made a mess of an attempted header and the ball fell to Charlie, who couldn't quite connect with it properly and it went wide. Everton were clearly there for the taking. After a break from Everton which came to nothing, Højbjerg, who was already grasping his rare 1st team chance with both hands and imposing himself in midfield, found Cédric wide on the right with a beautiful inch-perfect pass. The little Portuguese somehow evaded a defender and sent the ball scything into the box, where Austin connected, but the ball hit the outside of the post. Saints were all over Everton, but just could not convert all these chances. Sound familiar? Well, it was different this time, as you could sense the whole team straining every sinew. Højbjerg, Boufal and Ward-Prowse in particular were having outstanding games. We didn't have to wait to long for the first goal though. When it did come, it was from a simply sublime counter attack. Boufal, Højbjerg and Bertrand combining, before Tadić finished it off by sliding the ball past Pickford. 1-0. For the rest of the half there was more good work from Saints, with one chance almost converted from the head of van Dijk. Then, right on the stroke of half-time, Everton pulled a goal back with a simply stunning strike from Sigurdsson. Forster had no chance. 1-1. Half-time came immediately after, with both sides going in level. Would Saints rue all those missed chances? Shortly after the restart Saints had the lead again. Boufal linked with Bertrand down the left wing and the Englishman sent a perfect cross into the penalty area, right on Charlie Austin's head. No mistake this time, flicking the ball past the helpless Pickford. 2-1. Excellent goal. Just six minutes later, in an almost carbon copy of his first goal, Austin scored again. This time Tadić was the provider. 3-1. Another excellent goal. There was an element of luck in the build-up, as Tadić attempted to pass the ball wide on the left, it hit a defender and the Serb collected his own pass, making the final killer cross to Austin. No matter. Sixty minutes gone and Everton were well beaten already. Watching Schneiderlin with his head down, you couldn't help but wonder what was going through his mind. He looked no more, or less awful than any of his teammates, but he left St.Mary's to better himself, but it has just gone all horribly wrong for him. Mauricio Pellegrino made his substitutions, in fairly short order, Lemina came on for Tadić, Long came on for the clearly shattered Austin and finally Yoshida replaced Boufal. Long created a chance from nothing, chasing down the ball on the left wing, he refused to give up on a seemingly lost cause and bore down on goal. Pickford denied him a goal by getting a hand to the ball. We didn't have long to wait for the fourth and final goal and it was an absolute belter. Cédric and Ward-Prowse played a one, two. JWP spun on a sixpence to loft the ball to Steven Davis, who planted the ball firmly in the top left corner of the Everton goal. 4-1. Four great goals and no complaints at all from me. This was a simply excellent team performance and as someone said to me, it was just like the old Saints. As diametrically opposed to the pathetic shambles of the Liverpool away game as was possible. Best of all, Saints moved up the table to an eventual 10th place. Not even the thought of Manchester City away on Wednesday could dampen the mood. Blimey, there were several candidates. Boufal with his trickery and industry. Bertrand, after a slow start, linked well with Boufal. Cédric, who was excellent again on the right wing. Charlie Austin, who led the line so well and weighed in with two goals. JWP, who proved that there is a lot more to his game than just dead ball delivery. But, the standout for me was that previously lost soul, Pierre-Emil Højbjerg. He was simply majestic in the midfield stopping any thoughts of Everton attacks and distributing the ball with a series of inch-perfect passes. Wonderful performance.